How to change the layer order? Layer is a good way for you to realize gorgeous project effects. Manage layer orders of your objects will make your contents showcase delicately. 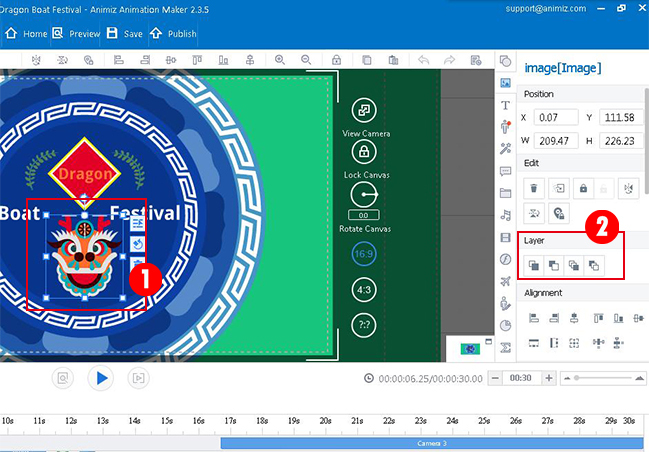 When you choose your objects, in its right-side properties editing interface, you can find the "Layer" option, then choose its layer as "Bring Forward", "Send Backward", "Bring to Top" or "Send to Bottom". First to select your object, then use "Send Back" or "Bring Forward" button to change your object's layer order. 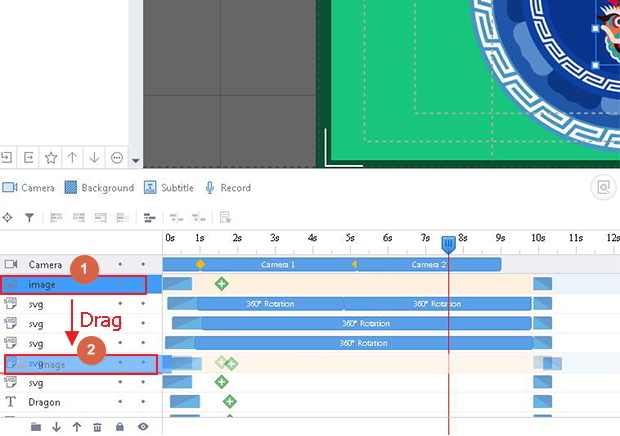 Click your objects, then use your mouse to drag it in the timeline, you will easily change the layer order. 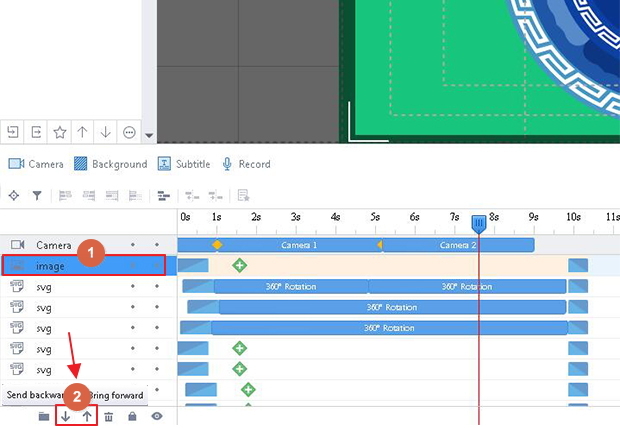 Next：How to put the selected object in the center of Canvas?